The vibrant and lively Royal Cliff Beach Hotel was extensively renovated in 2011. Providing exceptional value for money, the hotel offers a wide range of accommodation and all the facilities of a luxurious five star resort. Casual luxury in a stunning setting. 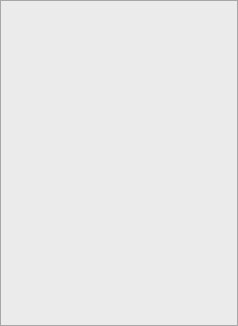 Ten minutes drive from the centre of Pattaya. This award-winning 5-star resort offers mountain or sea view rooms. Featuring modern Thai-style decor, Royal Cliff Beach Hotel’s air-conditioned rooms offer the comfort of a seating area and a balcony. The IPTV allows guests to order food, watch high-definition movies or check their bill in the comfort of their own room. 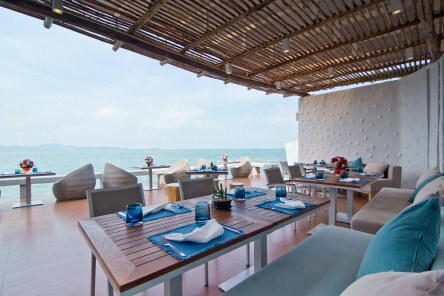 Royal Cliff is the only resort in Pattaya with 2 private beaches reserved for the exclusive use of hotel guests only. The hotel has 7 swimming pools throughout its expansive property. The latest additions are the 2 infinity pools. 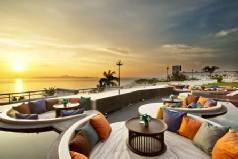 The harmonious setting of the Cliff Spa, overlooking the Gulf of Thailand, provides a natural refuge from the holiday activities in Pattaya. Here guests can savour Thailand's rich traditions of service and gentle massage to revitalize body and mind. With 11 of Pattaya's best restaurants, dining at the Royal Cliff is like embarking on a tour of the world's finest cuisines. Guests have a choice of Thai, Chinese, Japanese, Indian, Italian and European menus in a variety of inspiring settings. For fun and relaxation, the resort also has 6 lively bars offering sizzling entertainment. 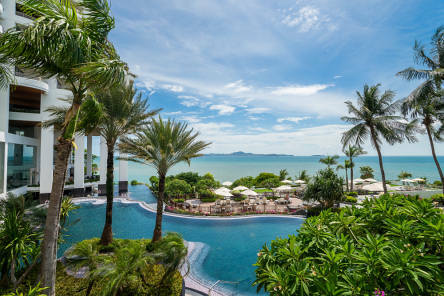 2019 package holidays to the Royal Cliff Beach Hotel Pattaya Prices are per person based on two sharing.